This year also marked the coming to life of the city’s new Creative Quarter after its launch last year. A project to map and promote the city’s central cultural spaces, design studios, creative workshops, and stores, it came to life during RDW with a series of talks and street food stalls and further exhibitions in the restored Universul Palace, a former newspaper building turned into creative industries co-working space and hub. 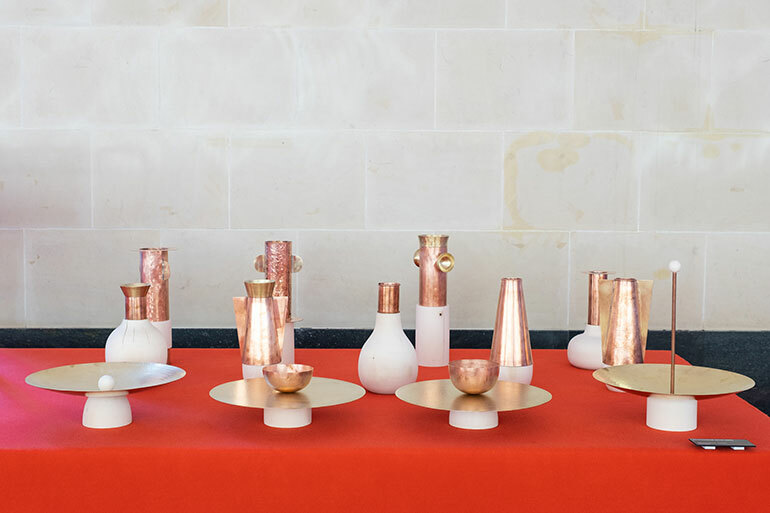 Here, we share emerging design talents that caught our eye during the fair. Contrasts by Radu Abraham in collaboration with Mesteshukar ButiQ (MBQ). 1989 by Dragos Motica for Ubikubi. 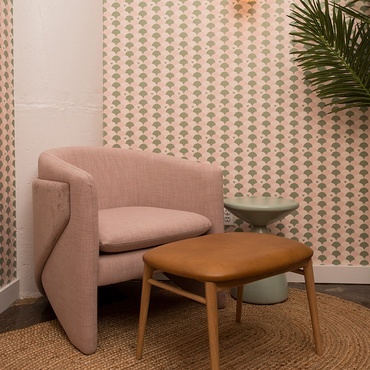 Founded in 2014 by manufacturer and entrepreneur Robert Savu and architect and designer , Ubikubi seeks to foster and showcase new Romanian design and local manufacturing capabilities. At RDW it showed several products that displayed an interest in honest contemporary and accessible design that transcends specialized audiences. 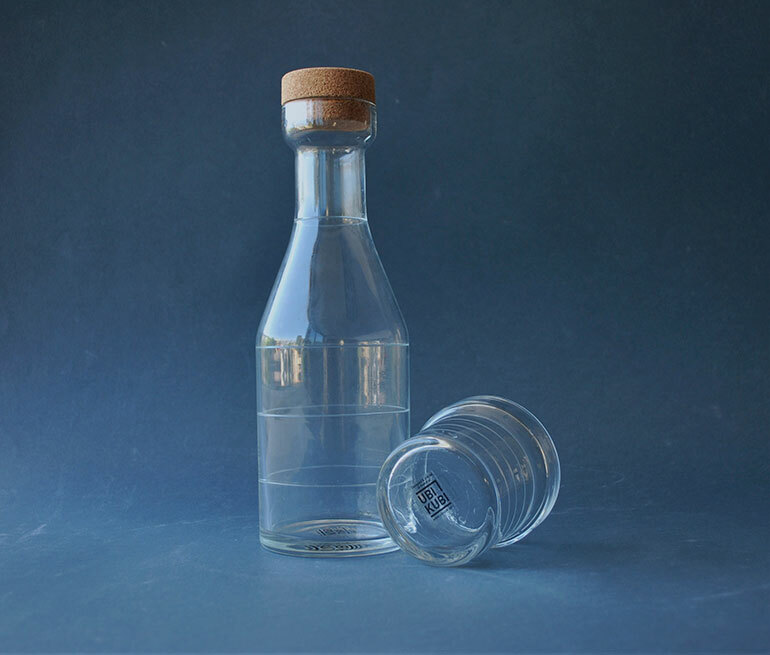 One of the most captivating was 1989, a water carafe and glasses designed by Motica that referenced the form of the returnable milk bottle used during Communist times in Romania. Another collection, Chipped, was a minimal set of plates with an unusual incision on the edge intended to support the cutlery. 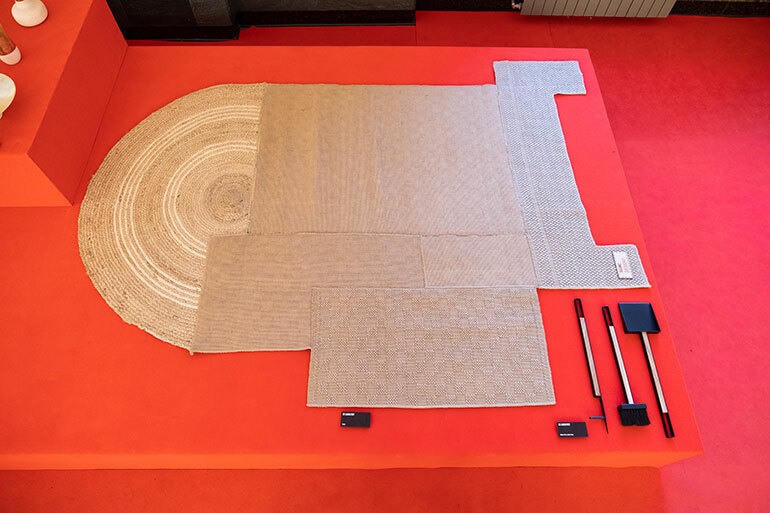 Teluric carpet by Co Laboratory. Co Laboratory is a design lab founded by and Alexandru Barbu focused on recycling, the circular economy, and responsible design. The Teluric carpet shown at RDW is made out of jute, a product that is locally made but not popular anymore. Erimescu and Barbu managed to salvage the material from a factory that was closing down and make this hand-woven carpet. Its different sections, asymmetrical compositions, and varied tactilities and textures are a melancholic tribute to an oft-sidelined fabric in design and slowly disappearing material and craft. 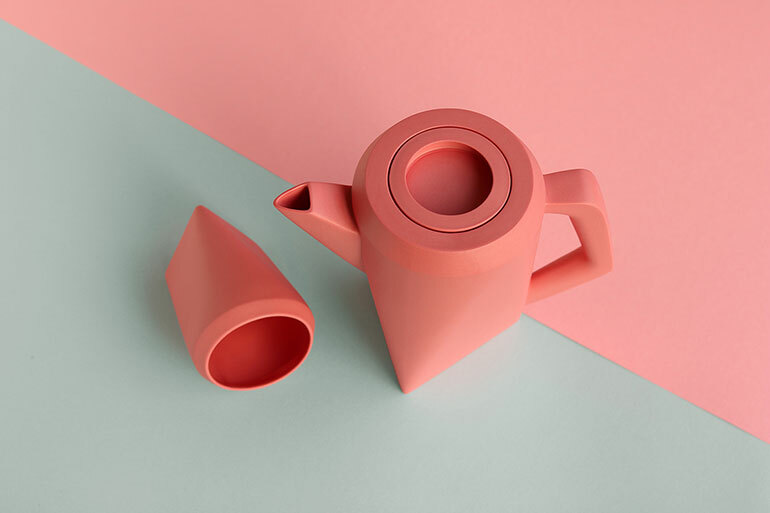 A ceramics design studio founded in 2010 by and , Ceramic Sparrow design and produce decorative and household objects inspired by modernism and the artistic and architectural movements of the early 20th century—spearheaded by figures such as Josef Hoffmann, William Morris and Masahiro Mori. At RDW they showed Malevich, a teapot and cups that play with straight and curved planes, angular edges, and smooth rounded symmetries. The duo also launched Edelweiss, a striking geometric satin-finish desk/table lamp made entirely out of porcelain and inspired by Villa Malaparte and Zaha Hadid’s Messner Mountain Museum. Koketerie Bistro by Bogdan Ciocodeica. 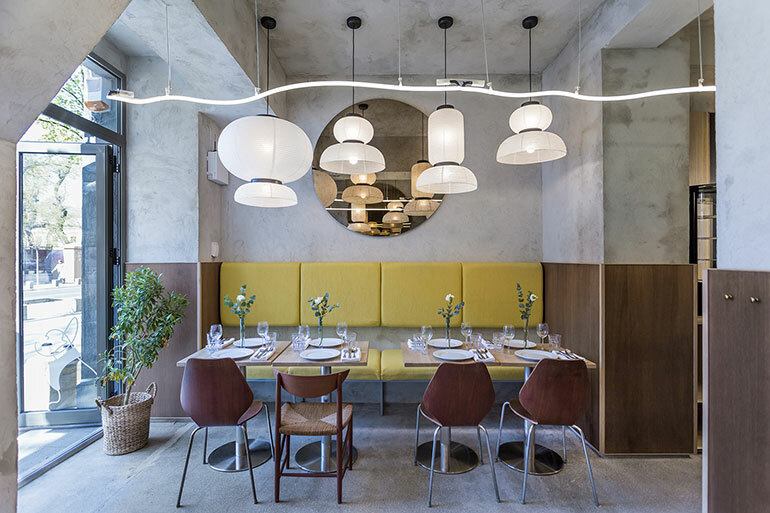 Bogdan Ciocodeica founded his Bucharest-based architecture practice in 2015 and is responsible for some of the most interesting and eclectic interiors that have opened in the last couple of years in the Romanian capital. New openings by the designer include the intimate on Bucharest’s best-known street Calea Victoriei, the beer bar and bistro in a beautiful early 20th century villa, and the monochrome and minimalist Entrance Store fashion boutique—replete with striking black-painted steel-framed glass display cases and mirrors designed by Ciocodeica himself. 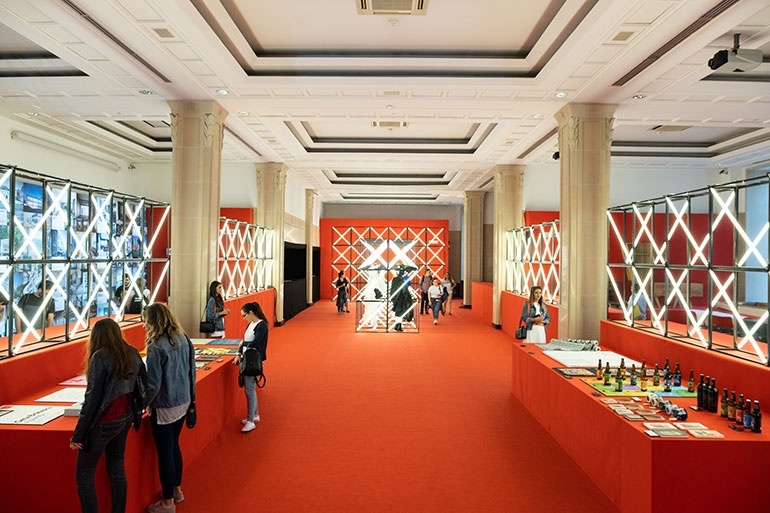 All were displayed in RDW’s main exhibition space.